My FreeCreditReport.com Review: How Does It Measure Up With Its Competitors? The latest studies show that over $16 billion was stolen from consumers in 2016 thanks to identity theft. One way to monitor your personal information for signs of potential identity theft is to keep track of what’s on your credit report. A popular place for checking your report is FreeCreditReport.com, but is it secure and reliable? We’re going to find out in my FreeCreditReport.com review. My FreeCreditReport.com Review – Is It Reliable? If you read the name, Free Credit Report sounds obvious, right? Although many of the older reviews I found included complaints that the services offered by Free Credit weren’t really free, the company has changed things up and now offers some items with no monetary obligation. Here is what Free Credit Report offers with their no-cost plan. You can get your Experian credit score and credit report completely free of charge. The sign-up process with Free Credit Report is easy. 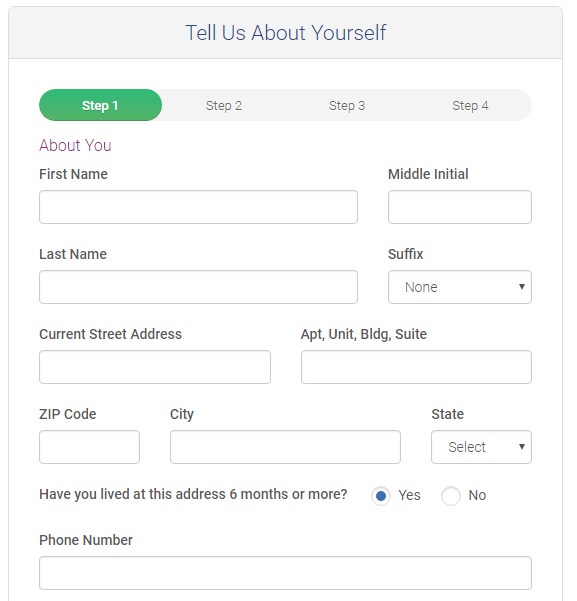 First, fill in basic information such as your name and address. After that, verify some personal credit or other information for security reasons. Questions may reference your mortgage lender or what your eye color says on your driver’s license. When you’ve answered all questions correctly, you’ll find your credit score. 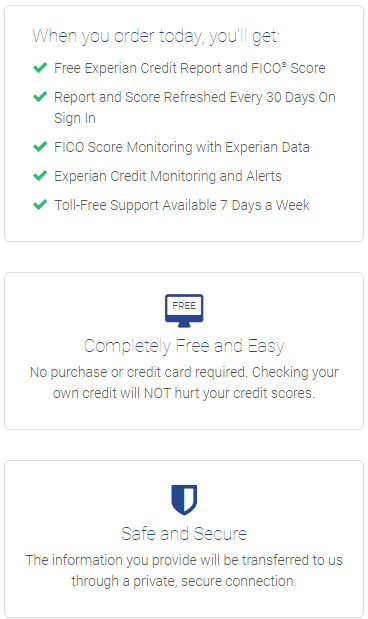 Since Experian owns Free Credit Report, you’ll only get your Experian FICO, and not your Equifax or TransUnion FICO scores. Any recommended action steps like credit card balance transfers. The site also shares how you compare to others in your area regarding your credit score and credit card balances. There are call-to-action boxes that offer Free Credit Report’s upgraded membership that will allow you to view all three credit reports (Experian, Equifax and TransUnion) or sign up for advanced identity theft protection. When you sign in to the site in any follow-up visits, the first landing page will be an offer to sign up for their upgraded plan. The plan says it is $4.99 for the first month, but after that, you will pay $19.99 per month for their upgraded plan. Below is a “no” box that allows you to continue using their free plan, so there is no obligation to upgrade and you won’t be asked to enter a credit card number with the free plan. 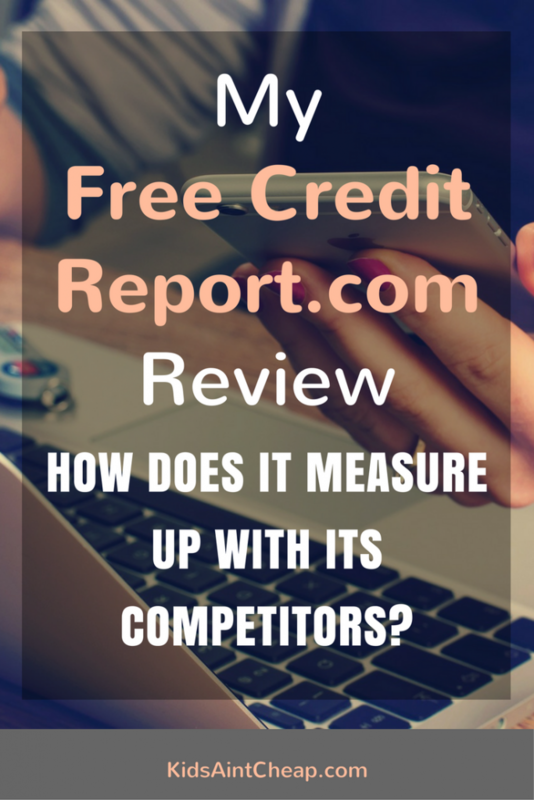 How Does Free Credit Report Compare to Other Companies? Other companies offer free credit reports too, but are they legit? 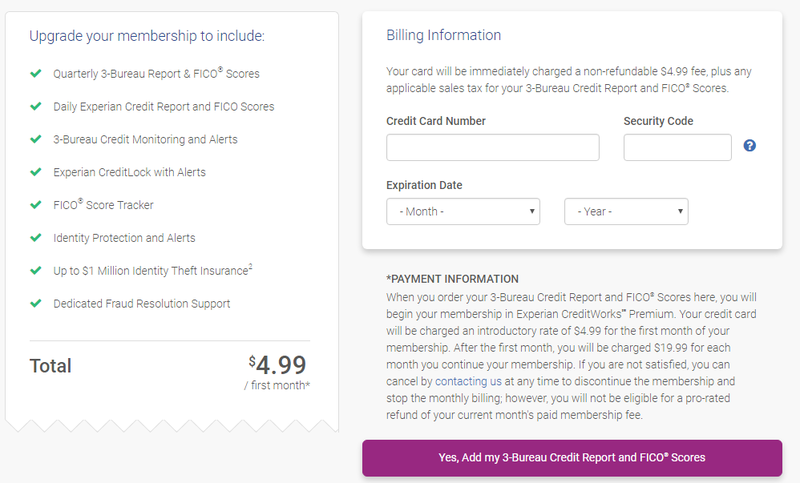 Do they really give you your credit report for free? Here are some of the more well-known competitors of FreeCreditReport.com and what they offer. Annual Credit Report is a government mandated site that allows consumers to pull credit reports from all three credit bureaus – Experian, Equifax and TransUnion – once a year at no cost. However, you will have to pay an additional fee if you want to see your FICO score from any of the three bureaus. The annual free credit report that you get from the major credit bureaus is different from the free credit report card that Credit Sesame provides its users. So while you will get a free picture of your creditworthiness from Credit Sesame, the reports and credit scores are different from what you’ll find on your actual Experian, Equifax and TransUnion credit reports. Credit Karma does give consumers free access to credit bureaus and their FICO scores as well, but only from TransUnion and Equifax. They’ll also send you a notice if anything important changes on your credit bureau. Based on the information listed in their reports they will recommend products and services to you, but your membership to Credit Karma is totally free. Free credit reporting companies are everywhere, it seems. Therefore, you should thoroughly research a company before signing up. Your goal is to avoid hidden fees and costs. FreeCreditReport.com is one company that delivers what it promises: your Experian credit report and credit score, free of charge. Next Up: Loans for Stay-at-Home Moms: What Are Your Options? How do you check your credit? Was this FreeCreditReport.com review helpful? Let us know in the comments! How often does Credit Karma update?